AutoPartSearch.com gives you super easy access to quality used auto parts for your Acura. Our recycled auto parts inventory is the #1 place to start looking for used car parts. 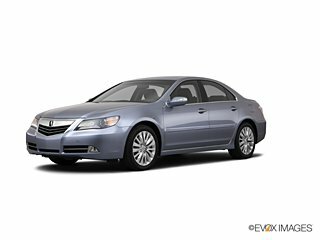 Locating parts for cars in the Acura family such as the ILX, TLX, RLX , and older models including the CSX,TSX, EL,CL, RL, TL, Integra and Legend and the SUV class MDX and RDX or performance NSX should be painlessly simple. We give you access to a wide range of auto salvage yards making it a sure bet your auto will soon run smooth again. When you want to save as much as you can when spending on Acura auto parts. Auto Salvage Yards are an excellent choice in finding quality reusable auto parts. Junkyards, or as we like to refer to as Auto Recycle Yards are the perfect place to find a part that is in great condition and reusable. Buying junk auto parts gives you the power to keep your parts cost low and giving you a better way to meet your budget goals. Choosing aftermarket auto parts can provide you with extra performance options for your car or truck. They are built by outside manufacturers that follow factory specifications. A hard to find part may often be found quickly through searching for aftermarket options. They often come with a warranty but at higher costs than recycled auto parts. When trying to decide on which type of part to buy you may have to consider that aftermarket parts may not be the correct fit but top-quality parts from auto salvage yards are a perfect match. Do you sell OEM Acura Parts? We do offer OEM (Original Equipment Manufacturer) parts for Acura. If you are looking for the original factory specification parts or like to have a warranty or wish to restore your automobile to showroom condition this is probably the route you may want to take. Keep in mind that used auto parts from an auto salvage yard can also be an original manufactured part and you may want to consider the cost of a new original part against a recycled auto part. Both types of parts will offer you a direct fit, cost however is the main factor in your decision.